Its new Facebook Freebie time! I included both the images and Silhouette Print and Cut files in my download (just because I’m in love with my Silhouette!). And here is the whole hop collection together! I think it all looks so great together! So how do you get this wonderful kit? All you have to do is visit the Freebies tab of each designer on the hop. You will need to “like” the page to access the tab, but all the designers offer freebies and coupons on a regular basis -so like Martha says, “its a good thing”. Here is the full list to help you out, but at each page, there will be forward and back arrows to help you find your way. You can start anywhere – the last one will take you to the first one. It’s really a loop! 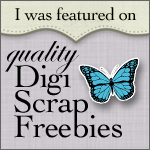 Freebie Digital Kit…. Some Bunny Digital Scrap Kit and Digi Stamp Freebie “Into the Woods” Digital Elements and Cutting Files + Freebie An apple a day…. This entry was posted in Cutting Files on May 4, 2012 by Cathy.